Apart from eating chocolate eggs at Easter, other egg-cellent traditions include decorating and hiding the eggs. These 5 ideas for egg decorating are so good, it's possible that even the Easter Bunny isn't aware of them. 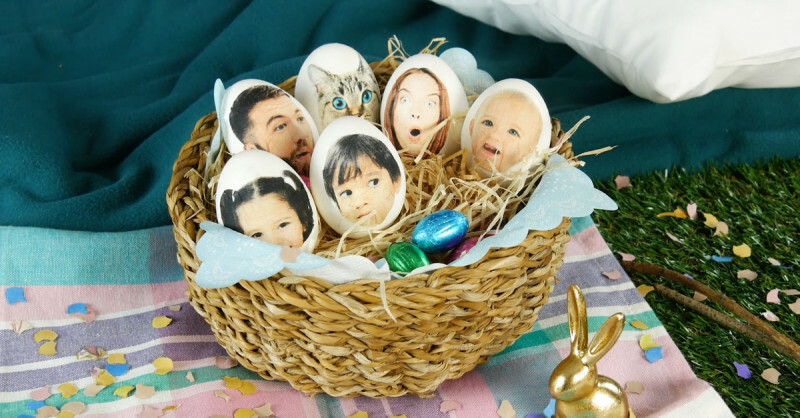 To get pictures of you, your family, or your friends onto the eggs, print the pictures out on a piece of tissue paper. To do this, tape the tissue to a piece of paper and stick it in the printer. Print out the pictures you want and cut them out. Then stick the top layer of the tissue with the printout onto the egg. Completely paint the egg with black acrylic paint and use a sponge to apply other dark tones like blue and purple. 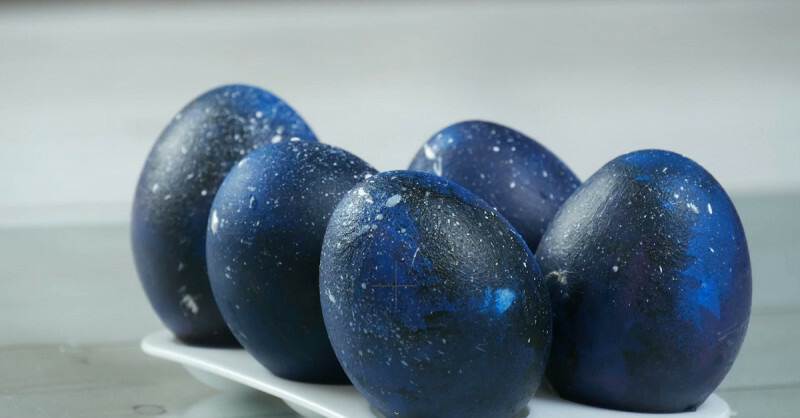 Next, mix white acrylic paint with a little water, dip a toothbrush in it, and give the galaxy eggs little stars in the form of white sprays of paint — you can do this by flicking your thumb over the toothbrush head. 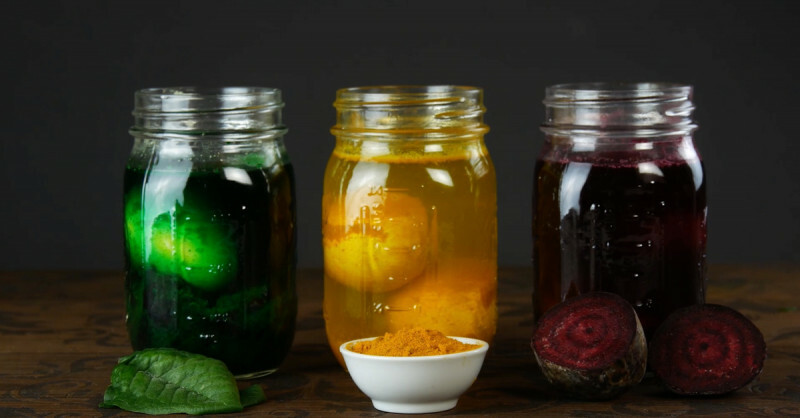 Color your Easter eggs with the help of natural dyeing agents that you can make from boiled foodstuffs. Use spinach for the green coloring, turmeric for yellow, and beetroot for the red. Boil the eggs in some water in a pan for 20 minutes with the corresponding ingredient for the color of your choice. Then put the egg in a Mason jar, fill it with the colored water from the pan, and let the whole thing soak in the color overnight. Paint the eggs using only a toothbrush. Use it to apply several colors to each egg. 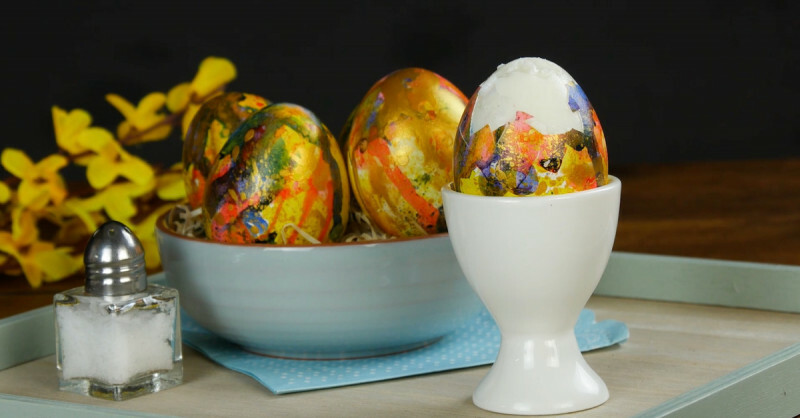 As with the galaxy eggs, speckle the eggs with gold paint using the toothbrush. Paint the eggs completely yellow. 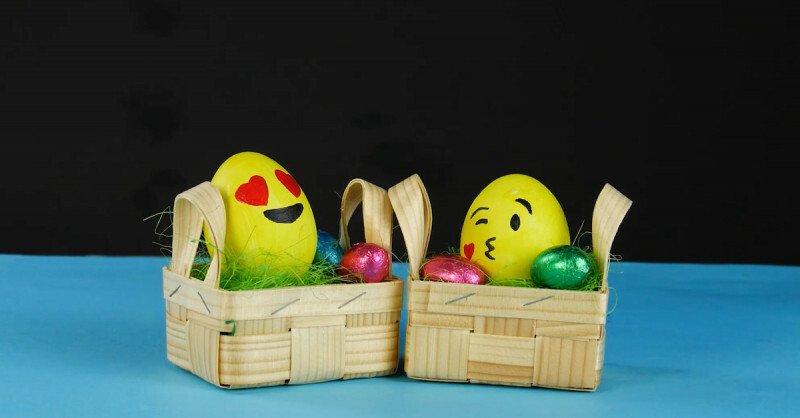 Then, use a fine paintbrush and red and black paint to paint your favorite emojis on the eggs. Who wouldn't want to hunt for such beautiful eggs? When they look this good, you really have no egg-scuse!